Much like Mother's Day, every day is in fact National Wine Day, even if we don't call it that. But it's nice to mark the occasion with an official celebration. And that day is May 25, aka now. To celebrate, Whole Foods is offering some serious discounts on rosé. This one-day sale is offering 20% off every rosé in the store. That means you it's time to stock up. You could get an entire year's worth of I-didn't-know-what-to-bring-so-I-brought-wine gifts out of the way with one trip to Whole Foods, so don't squander this opportunity. This is the culmination of Whole Foods' spring rosé sale, which runs from April 4 and to May 29. That sale features discounts on 12 rosés handpicked by Whole Foods' Master Sommelier, Devan Broglie. 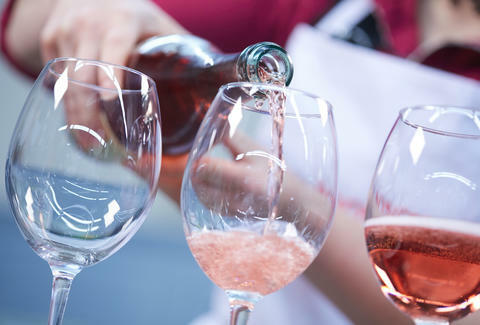 All are Sommelier Best in Class wines, so if you're looking for a rosé recommendation, picking from this list wouldn't be a bad place to start. And honestly, this might be your chance to buy a Mother's Day gift ahead of time for once -- a year ahead of time, but still.